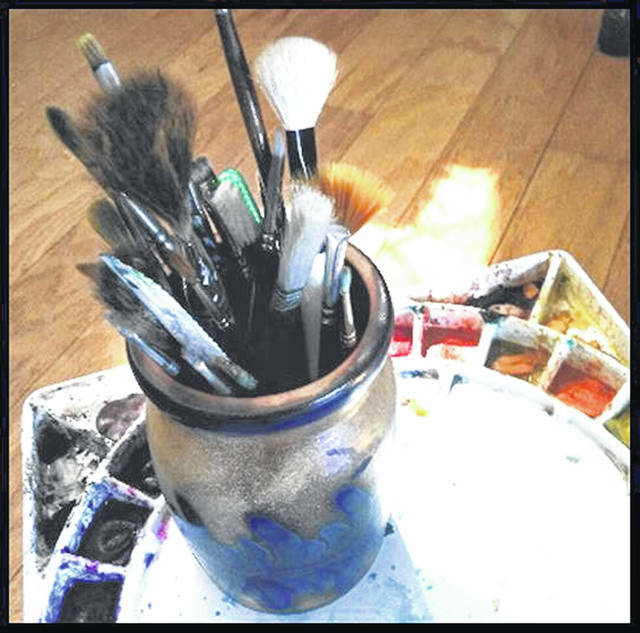 The Logan County Art League will offer a five-day workshop introducing basic watercolor techniques, a primer for the beginning watercolorist. Woody Amidon, one of the area’s foremost watercolor teachers, will instruct the workshop with the aid of Debbie Shellhaas and Annie King. Each day will include demonstrations, plenty of one-on-one instruction and painting time. The students will learn the basics of drawing and design, color mixing, and choice of paper, tools and materials. A variety of watercolor techniques will be explored. The workshop will be held at Craft, Paper, Scissors. The workshop will be presented on the following Thursdays: Feb. 21 and 28 and March 7, 14 and 21 from 10 a.m. to 3 p.m. with an hour break for lunch. The workshop is focusing on individuals that have always thought it would be fun to paint, but were never sure of how to begin. The cost of the workshop is $50. There is a list of materials that each student will need to bring. The workshop is limited to 12 individuals. Brochures with all of the information and an application can be picked up at Craft, Paper, Scissors at 142 West Columbus, Bellefontaine, or can be found at www.logancountyartleague.org. The registration form and total fee are due by February 8.